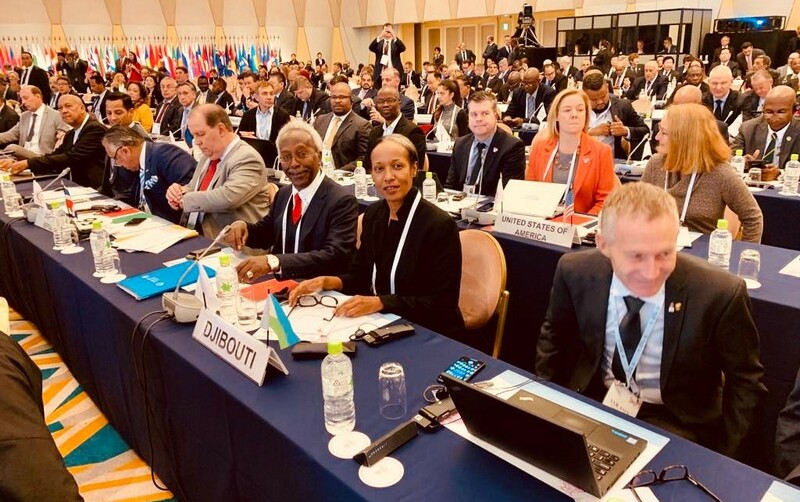 and some representatives of the Business Friendship Association Djibouti-Japan. First of its kind, the Ambassador of Djibouti, H.E. Mr. Ahmed Araita Ali, met with the Mayor of Hanyū City in the prefecture of Saitama, Mr. Komei Kawata, on the 16th March 2018. 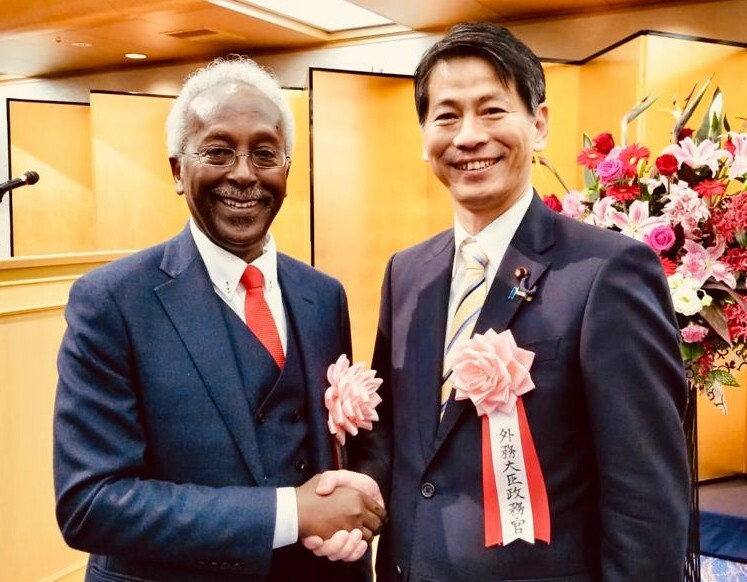 Ambassador Ahmed Araita Ali with the Mayor of Hanyū, Mr. Komei Kawata. 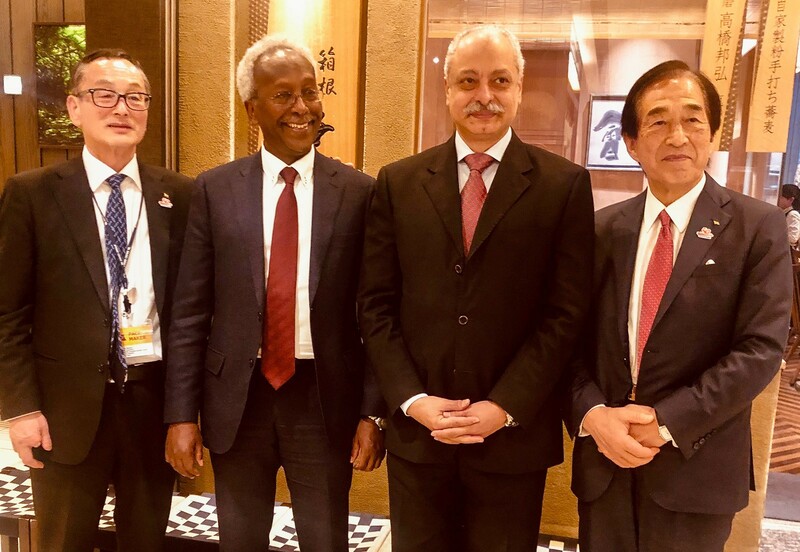 In attendance was Mr. Morikazu Ozawa, President of the Business Friendship Association Djibouti-Japan and his vice, Mr. Tomomi Komazawa, as well as other members of the association. 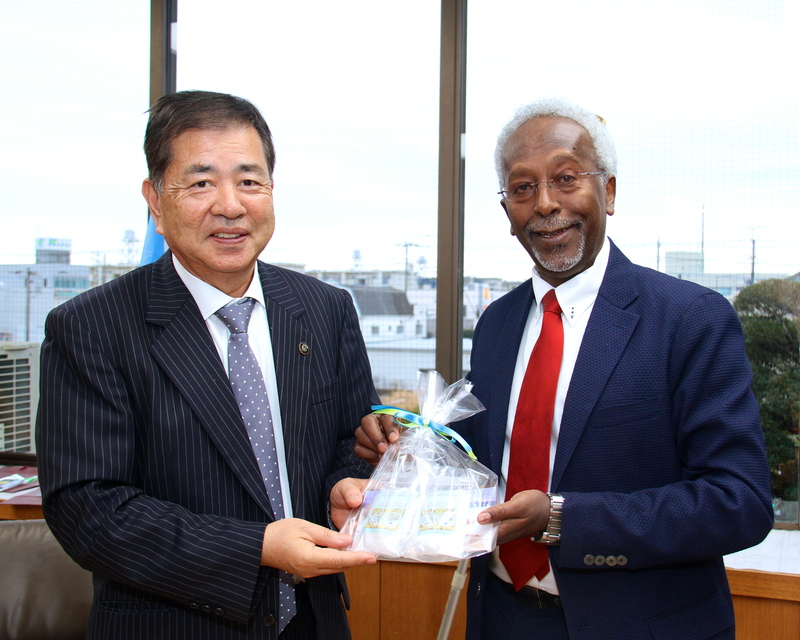 Ambassador Ahmed Araita Ali exchanges gifts with the Mayor of Hanyū, Mr. Komei Kawata. H.E. Mr. Araita seized this opportunity to showcase the strengths of Djibouti and different opportunities available for collaborations between Djibouti and Hanyū city. 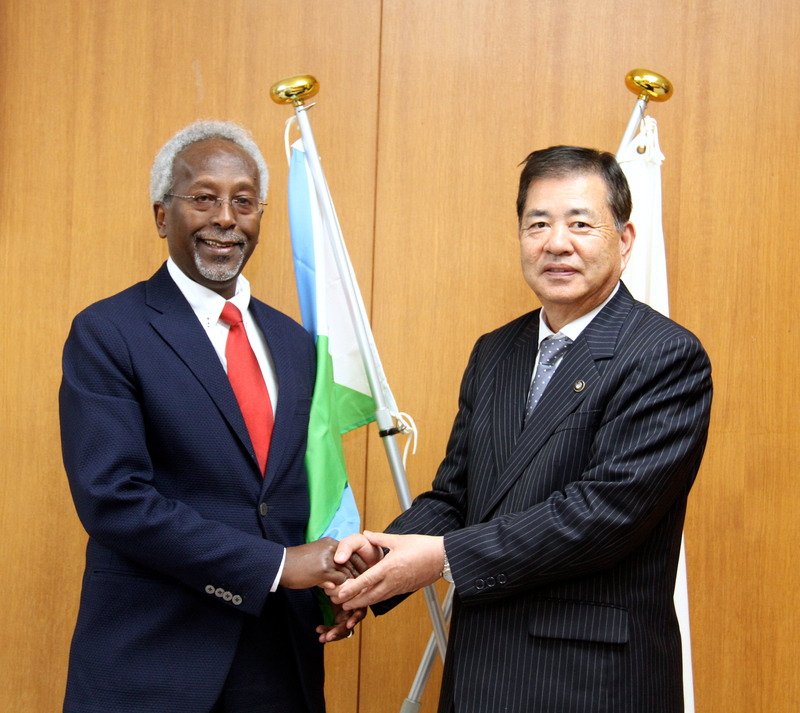 He also extended an invitation to the Mayor of Hanyū who agreed to visiting Djibouti in the near future.